"This Christmas, it's all about puppy love." Everyone is looking for a feel good movie around the holidays. 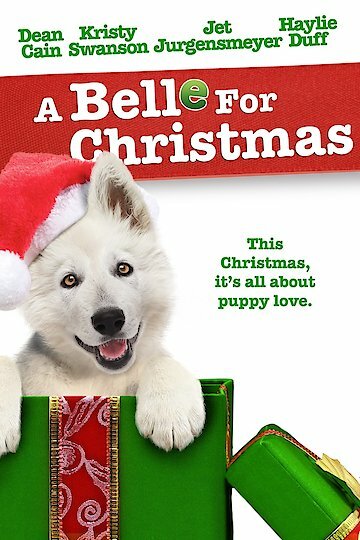 A Belle for Christmas explores the story of a child and their pet during the holidays. A brother and sister duo gets a new puppy for the holidays and the dog gets stolen on the eve before Christmas. Desperate and angry, the children set out to find their beloved pet and the adventures are not as they had planned. The dog has been kidnapped by their dad’s date, which is nothing more than a gold digger who wants his money. The rescue mission sends viewers on a wild journey as the children take on the lady who has their Belle. A Belle for Christmas is currently available to watch and stream, buy on demand at Amazon, Vudu, Google Play, FandangoNow, iTunes, YouTube VOD online.